In Negotiating the New in the French Novel Teresa Bridgeman applies insights from pragmatic theory to the French novel in order to examine its discourse conventions. Focussing on texts by some of the greatest and most innovative French novelists - Diderot, Balzac, Flaubert, Zola, Celine, Sarraute and Perec - Bridgeman analyses how these authors established their own conventions, challenged reader expectations and drew conventions from other literary and non-literary forms. 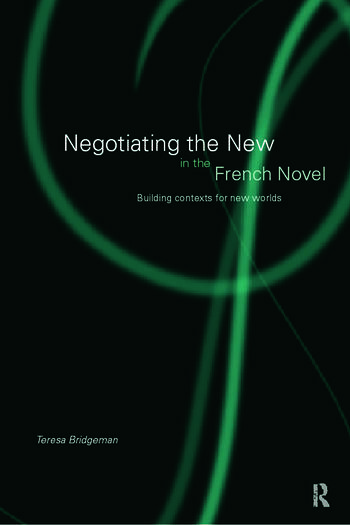 Negotiating the New in the French Novel shows the development of changing perceptions of genre, author and reader. This book will make fascinating reading for students of French literature - particularly of the nineteenth century novel, students of Stylistics and of Narratology.